As a church leader, a core part of your job is mobilizing your followers to help each other and the surrounding community. This service can happen through volunteer work, but there’s no denying that for a church to operate and serve others, it needs funds. And — unlike a private business or government agency — churches must generate that money from within. This is where the concept of tithing often comes in (by definition: whatever you earn, the first 10% goes to the church, and the remainder is yours). But, what if you find that there are some families in your church who are struggling more than others? For those families, giving a percentage of their income to the church might mean struggling to pay their electric bill or buy groceries. Is it OK, in that case, to encourage those families to give to the church in other ways (volunteering their time and services)? I posed this question to several church community groups on Facebook, and it seems to have struck a chord. Some folks firmly believe that tithing is an obligation that comes before any other financial consideration. If you’re down to your last dollar, ten cents goes to the church and you make do with the other 90. Others have taken a more progressive approach to the concept; one phrase that came up repeatedly in response to my question was “Time, Talents, and Treasures.” If you’re lacking in one area (treasures), you can contribute in others (time and talent). A real-world example: you have just enough in your bank account to pay the rent this month, so rather than giving your standard cash contribution to the church, you provide child care during Sunday services or use your artistic talent to design a new logo for the summer children’s program. I got lots of great suggestions for ways to encourage non-monetary giving to the church, and selected ten to share with you so you can pass them on to your church members in need! Your church followers undoubtedly have valuable skills to share with others (woodworking, painting, or podcasting, for example). Encourage them to teach others for an hour after church or on a weeknight, and advertise the classes in your church bulletin or video announcements. Throw in a call for donations, and the classes could even generate funds from those who can afford to give! Cleaning and maintenance cost money, and those costs add up over the course of the year. Encourage church members to donate their time by vacuuming after Sunday services, mowing the grass, or repainting the church sign. These contributions may even allow fund reallocation from routine upkeep to important outreach programs. If you have members who drive to church every Sunday with vacant seats in their vehicles, it’s a great (and relatively easy) opportunity to help others. Ask around to find members who lack transportation or are no longer able to drive, then match them with willing drivers. You can also organize a carpool for children’s programs while you’re at it. Your church probably has members who are good with computers and other tech, and are willing to contribute using these highly valuable skills. Who knows, maybe you could even help them build a career in church tech! While church management software saves you lots of time and energy, it still requires an operator. 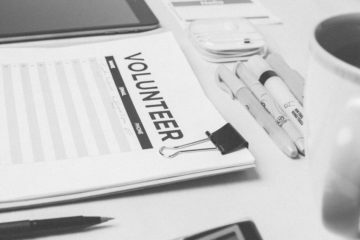 Let capable volunteers perform tasks like updating the website, scheduling other volunteers, and managing the church calendar. Unless your church has an in-house chef, it needs someone to fry all that fish, flip all those pancakes, and grill hundreds of hot dogs at various events throughout the year. Give your church members the opportunity to get behind the grill and cook. 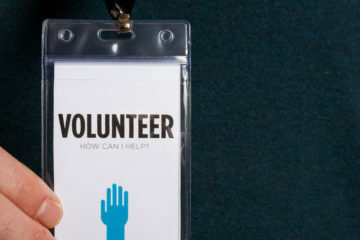 Pair congregants who are passionate about cooking with these volunteer opportunities. We’ve all witnessed parents constantly exiting and reentering the church service to calm an unhappy child. My future in-law’s church in Durham, North Carolina, avoids this by offering a separate children’s only Sunday school during regular services. When the volunteers return at the end of service with a group of smiling children, they’re regarded as heroes. Put out a call for such heroes in your own church! While you’re at it, don’t forget to use a child check-in system to streamline and safeguard the process. Some of your church members might have an old RV, fishing boat, or hovercraft gathering dust and costing them every month in insurance payments. Help them get rid of that bucket of bolts by encouraging them to donate it. Even if your church doesn’t have a use for it, you can sell it. 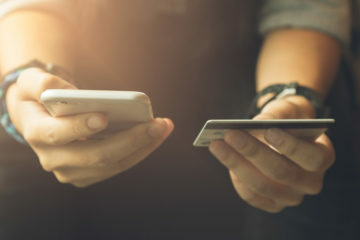 As a bonus, the previous owner’s budget will get a boost from lower insurance payments and a tax write-off, which may allow them to get back on track with their regular monetary contributions. A 2016 Pew Research study shows that just over a quarter of senior citizens — and almost a third of elderly women — were living alone as of 2014. It’s likely this is happening in your own sphere, and that your church has a few elderly members who could use a regular visitor. A National Institutes of Health study found that isolation can lead to cognitive, physical, and emotional decline in elders. Encourage all of your church members to help out with this incredibly important service. Your church probably has a decent camera in its audio-visual collection (and even if it doesn’t, any smartphone manufactured in the last decade will do in a pinch). But finding someone to take pictures with it is a different story. 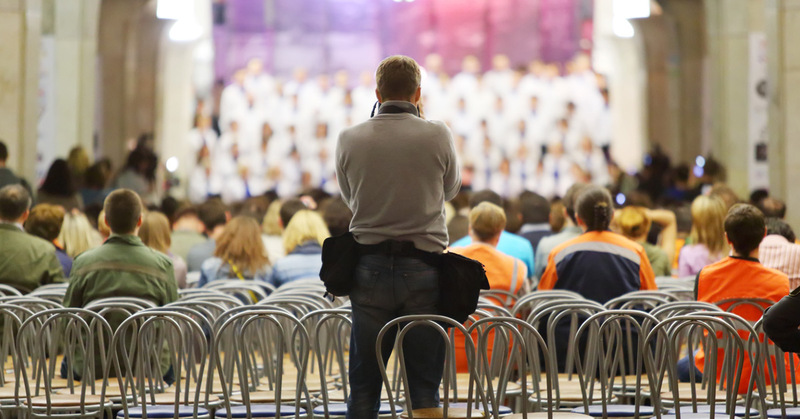 Professional photographers can charge upwards of $100/hour, so let your church members help out by taking photos at the church picnic or carnival for your website. Church social media accounts are notorious for making cringe-worthy mistakes. One of the most common (and easiest to correct) is infrequent — or even nonexistent — posting. 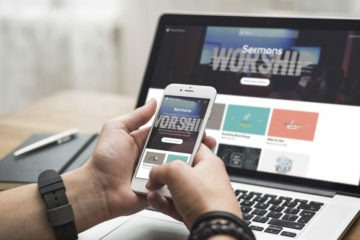 If you have social media enthusiasts in your church, let them donate their time by managing your church’s Facebook, Instagram, or Twitter account. They’ll help spread the word about your church (boosting attendance), and the internet will have something new to read about your church for the first time since the 2012 Easter egg hunt. Do you think it’s OK to give time or services to the church instead of money when times are tough? If so, what are some creative ways you’ve found to do this? Share them in the comments, or tweet me @CapterraAC! Previous ArticleIs Virtual Reality the Next Gutenberg Press for the Church? 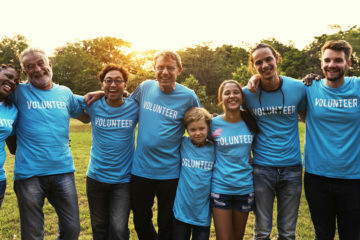 Are Your Volunteers Disciples or Disposable?